You don’t want to miss this class! KitchenAble > Announcements > Upcoming Classes > Announcements > You don’t want to miss this class! We have a lot of wonderful classes on the schedule. If you haven’t given it a look lately please take a moment and do so. 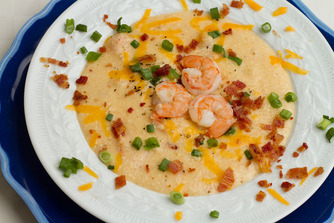 Tomorrow night (Tuesday, July 1) Jessica will be teaching her famous Shrimp and Grits as part of the “Southern Favorites” class at 6:00pm. If you haven’t signed up yet… don’t delay. Next Tuesday, July 8th; we will have a class on Pies and Tarts at 6pm. If you have any questions about working with pastry… or if you enjoy eating it you will certainly want to join us for Chocolate Cream Pie, a Fruit Tart, and a Savory Pie. Both the Bastille Day Class (with Crepes on July 11th) and the Fish Class (July 18th) are filling up quickly. If you plan to attend either please register now as the registration will be closing soon.